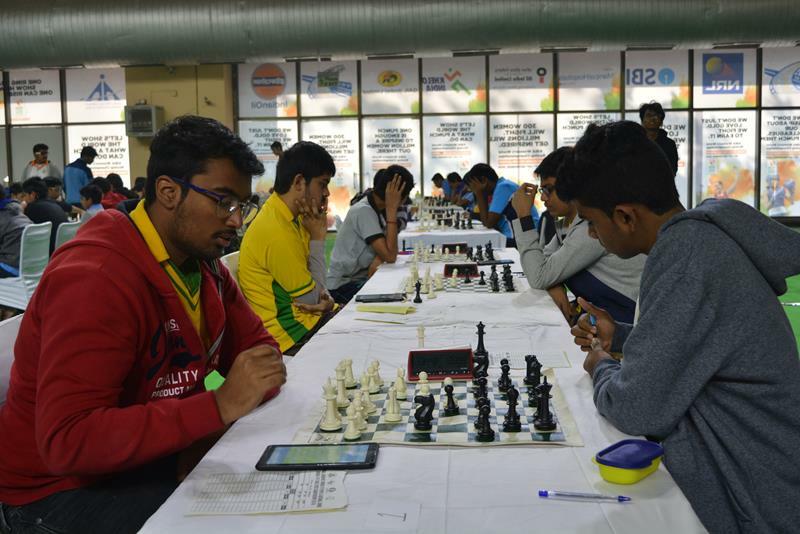 GM Karthik Venkatraman of Andhra Pradesh emerged as sole-leader at the end of 8th round in the National Junior Open Chess Championship, organized by Delhi Chess Association on behalf of All India Chess Federation. 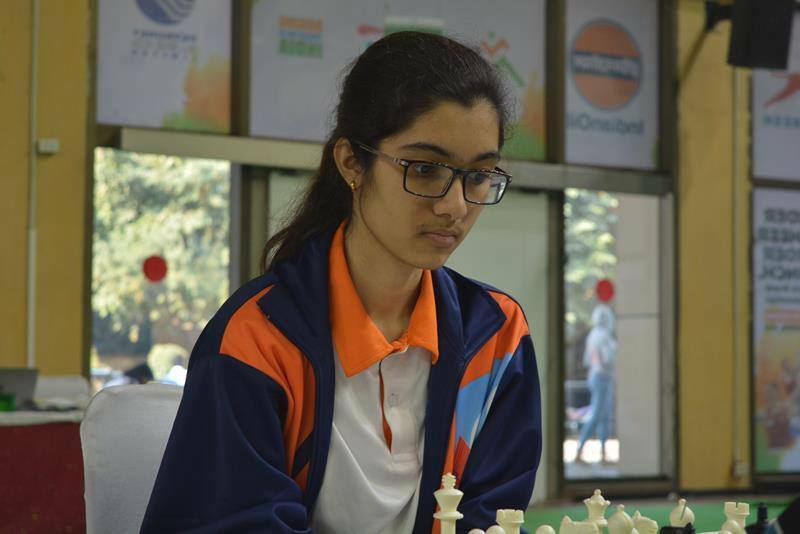 Meanwhile, Maharastra’s WIM Aakanksha Hagawane and WIM Chitlange Sakshi are jointly leading in the girl’s section with 7.0/8 points. Karthik continued his form and won the game. 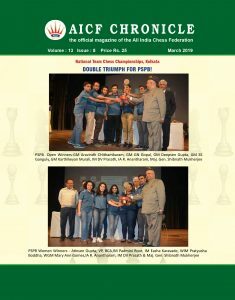 This victory made him sole leader of the National Junior Chess Championship. In the eighth round, on the top board, India’s 55th Grandmaster Karthik Venkataraman played against FM Nitish Belurkar of Goa. Nitish played Kings Indian defence in the opening. On 12th move he moved his bishop to d7. Karthik considered that it may not be so good option. Hereafter Nitish played passively and soon Karthik grabbed the initiative. Nitish surrendered on the 38th move. 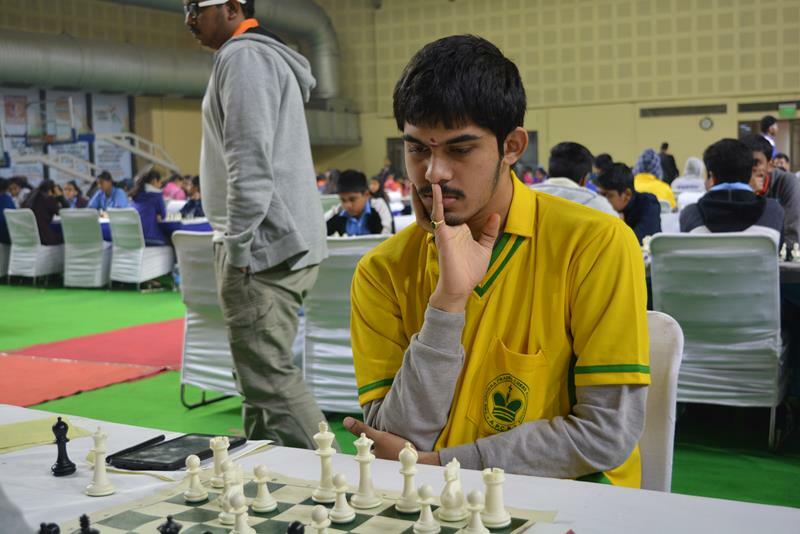 On second board Pranavananda V of Andhra Pradesh played against CM Aronyak Ghosh of West Bengal. Aronyak played Sicilian defence. Pranavananda said in the opening he missed the move order so position become equal. Thereafter, both players played safely and agreed to draw after completing 30 moves. 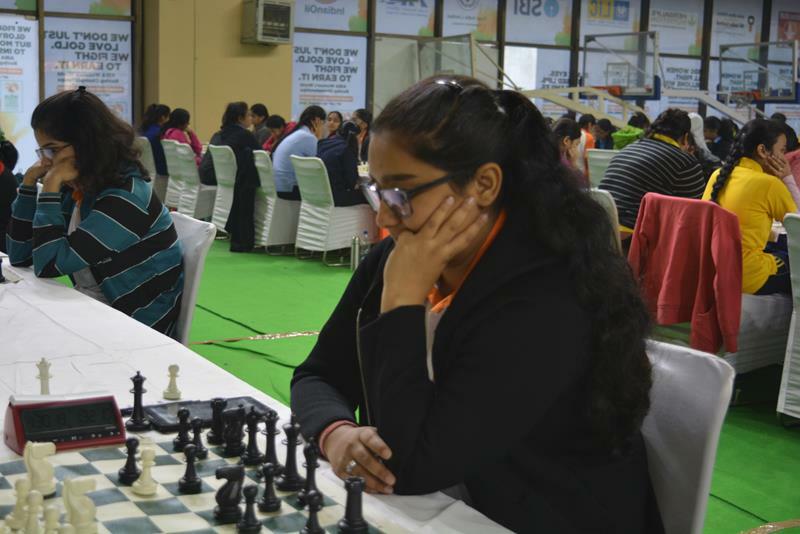 In the girls section, On top board WCM Jyothsna L of Tamil Nadu played against WIM Aakanksha Hagawane, the reigning Asian Junior Rapid Chess Bronze Medal winner. Aakanksha opted for Benoni defence and she was having a sligh better advantage. Jyothsna had defended the position successfully. On 56th move, both agreed for draw. 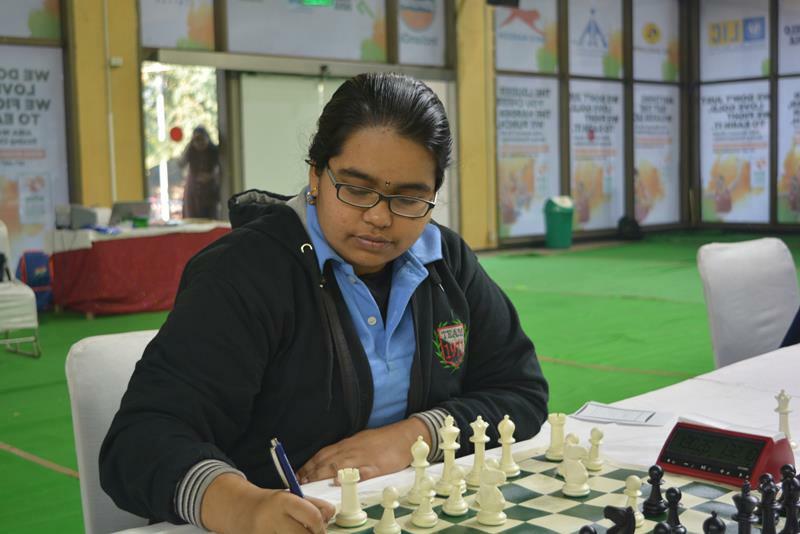 On second board WIM Chitlange Sakshi of Maharastra played against statemate Bakshi Rutuja. It was the longest game in the tournament. Sakshi won the game in the queen endgame by winning an extra pawn though she missed winning move in the early stage of middle game. Rutuja fought very hard to defend the game but on 92nd move she accepted her defeat. WIM Aakanksha Hagawane and WIM Chitlange Sakshi are in joint lead with 7 points.